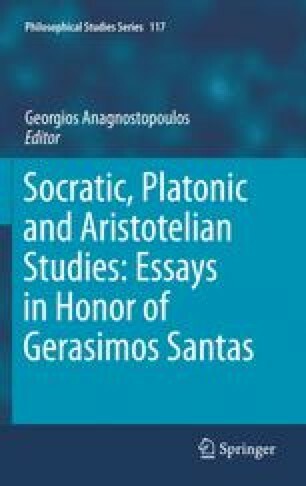 Encouraged by Glaucon to advance his conception of the Form of the Good in one of the central scenes of the Republic, Socrates demurs: he lacks knowledge, he intimates, and contends that anything he might produce by proceeding on the basis of opinion, even true opinion, would likely prove shameful and ugly. Undeterred, Glaucon presses his request, allowing that he would be satisfied should Socrates deign to discuss goodness in the way he had already discussed justice, moderation and the other virtues. In response, Socrates declines more forcefully still: so much would satisfy him too, he says, but he fears that any effort along such lines would earn him only disgrace and render him a subject of ridicule (506b). He does not abandon all affiliated endeavors, however. After refusing Glaucon’s call for a direct investigation into the good itself, he agrees to tell Glaucon about “an offspring of the good” (ekgonos te tou agathou; 506e3), which he advances for consideration as what is “most like it” (homoiotatos ekeinô(i); 506e3–4). This is the sun.